Well, Major League Soccer is finally upon us. The Red Bulls certainly got off on the right foot, against a very tough Chicago Fire team, with a well earned 1-zip victory. The Fire were extremly hard to break down defensively and were a stiffer test than that Santos B/C team the Red Bulls faced last week. It was good to finally see a game at the Cathedral of Fooball where players were not rolling around the ground, acting like they just got shot, as happened last week. Both teams came to play, came to get stuck in and in the end, the good guys were victorious. 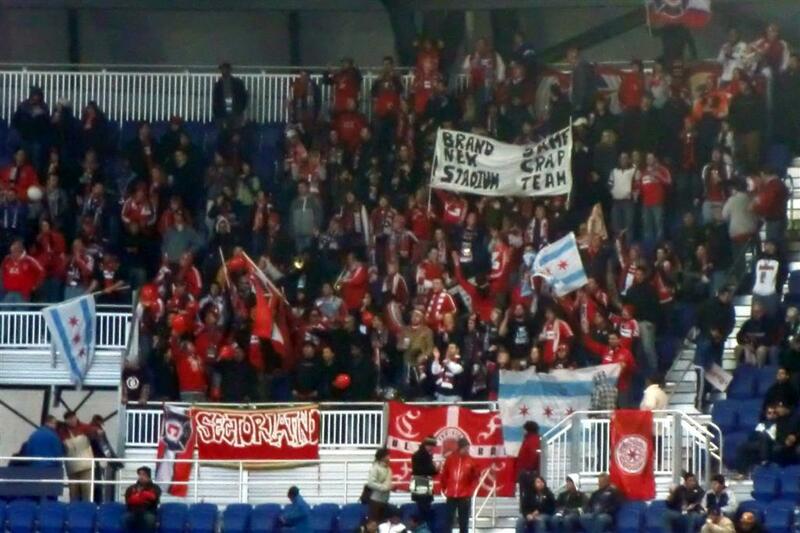 At Red Bull Arena, the atmosphere was totally electric. It was pretty good last week for Santos, but this was a crowd that was totally behind the Red Bulls. The Supporters Groups spearheaded the noise, and the rest of the crowd followed. 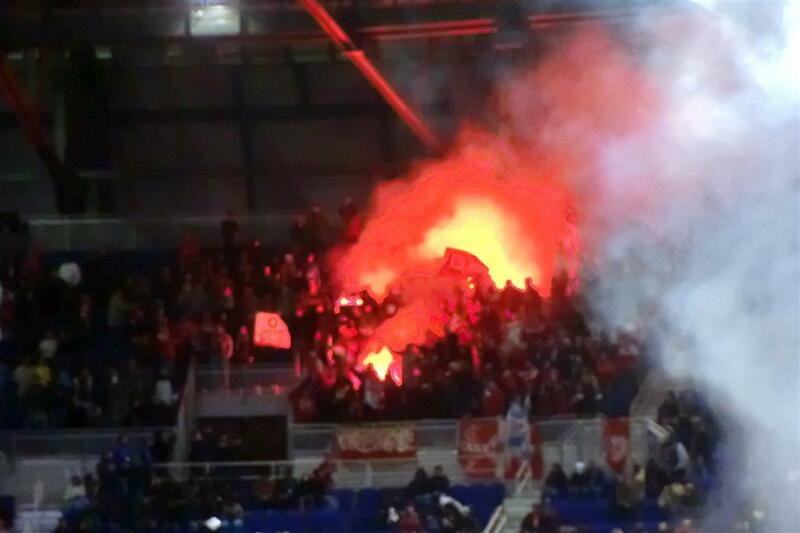 This is how it should be at every Red Bulls game at the Cathedral! Please see the video above for scenes from the game (including the goal), as well as more drunken (half-time) comments and predictions. You can click here for more scenes (2nd half), as well as post game comments. They certainly put on a good show with their flares, as is their trademark. 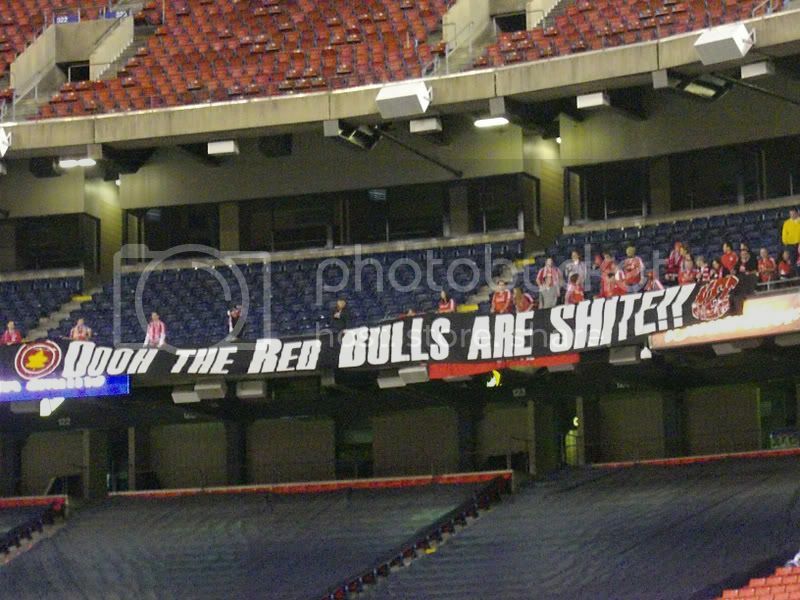 I wasn't aware, however, that they were into bringing "creative" little banners, as the drunkards from Toronto have been known to do in the past. Live and learn! Hopefully, they felt a tiny bit extra stupid on their drive back home. Same crap team indeed, eh? Ha, ha!